Each dance can be performed at 3 levels: Beginner, Intermediate and Advanced. 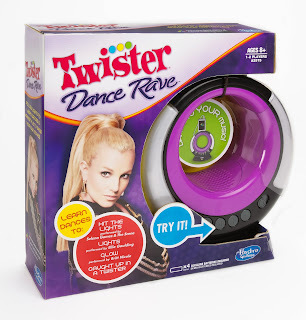 Twister Dance Rave includes dance console, 8 moveable spots, music player connector cord, and instructions. Now your daughter can ROCK THE SPOTS! 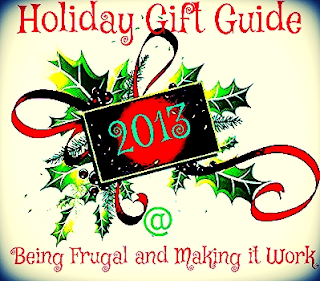 Disclaimer: The Being Frugal and Making it Work family received complimentary Twister Dance Rave game for the purpose of writing a review and hosting a giveaway. Regardless, I only recommend products or services I would use personally and/or believe will be a good fit for my readers. The views and opinions expressed on this blog are based purely by our own experiences. No monetary compensation was received. Results may vary. Hasbro makes so many great games! Our favorites are Operation, Jenga and Clue! They have a lot I haven't even heard of, too! Currently my kids favorite Hasbro game is Guess who. I would love to get the game of LIFE next for our family to learn. My favorite Hasbro game to play with my family is Monopoly. We enjoy it because it exciting to purchase properties. It good , fun competition at its best. My personal favorite Hasbro game would have to be Taboo. I have enjoyed playing Taboo for many years. We've played at numerous family gatherings and it is always a huge hit! My favorite Hasbro game is Monopoly. It is good for people of all ages, and it is fun to be competitive with your family on fun game nights!Thanks for the chance. My favorite game to play by Hasbro is Scrabble. I have love playing Scrabble since I was a child. My children and I enjoy playing Monopoly together. It's a game the whole family enjoys and is one of our favorites. We have lots of Hasbro games at our house. Scrabble has always been a favorite of ours. Our favorite game for family night is Scrabble. My kids always loved the game, and I would like to teach my granddaughter how to play. My family LOVES Monopoly! We have Monopoly Junior and the classic Monopoly. It's so fun because of the different variations so the kids can play too!! It's hard to choose ONE, but we play Scrabble a LOT! I guess it's our favorite. While we do play a lot of Scrabble, Monopoly and Cluedo, our favorite is Switch!.